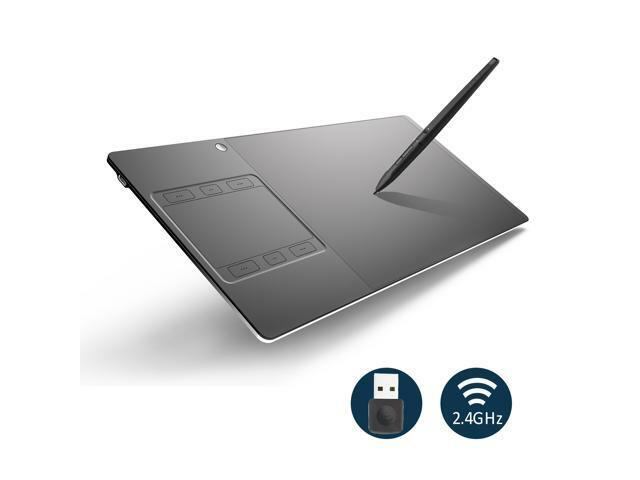 With a 10-by-6.25 inch drawing area and a brand new multi-touch panel, you can zoom in and out your artwork simply by using hand gestures. Rotate gesture might not be activated in Photoshop due to compatibility issues, which will be resolved by future driver updates. 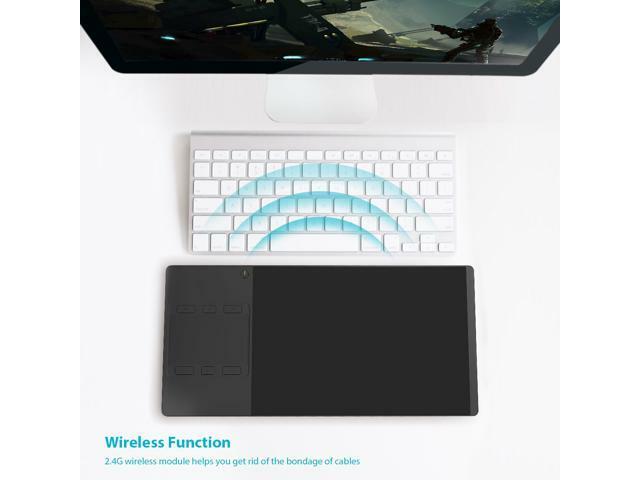 Draw effortlessly with the added 2.4G wireless module. Up to 6-meter distance of wireless connectivity. The 2500mAh battery lasts more than 40 hours, and if that's not enough, continue with the included USB cable to power/recharge the device. 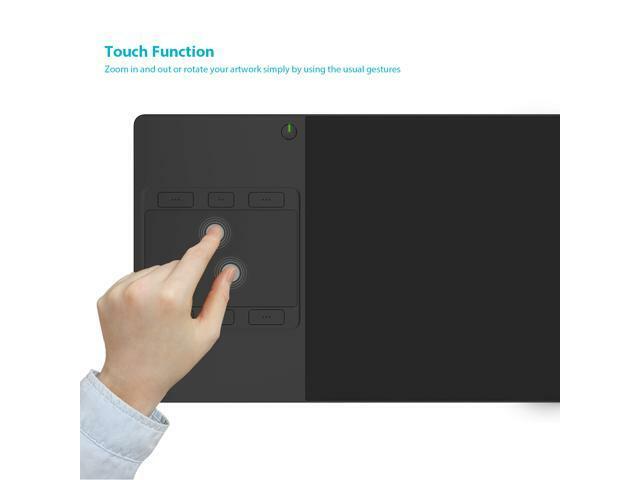 INSPIROY features the first ultra-narrow border design in the Pen Tablet industry, saving extra work space for a keyboard. 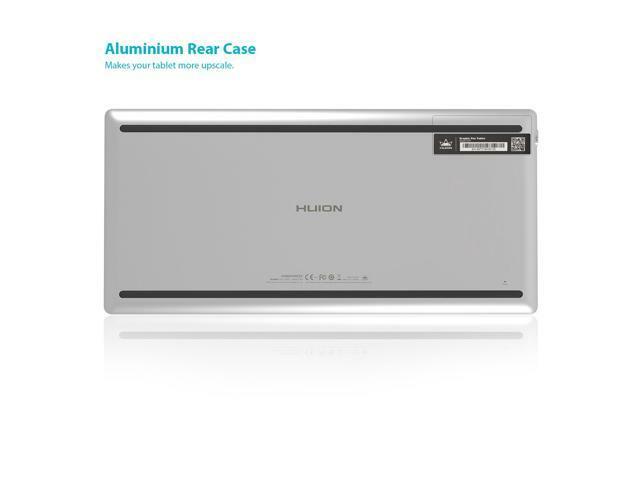 The rear casing is made of the popular Aluminum Alloy, making the tablet more upscale. 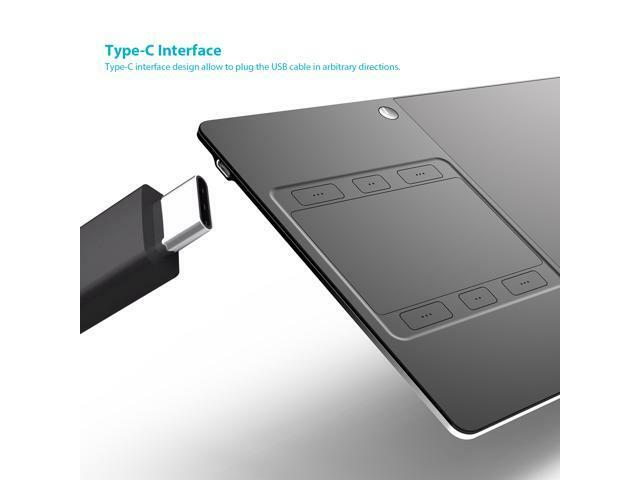 New Type-C Interface allows ease of connection due to the symmetrical Type-C design, which we've adopted exclusively for this product. 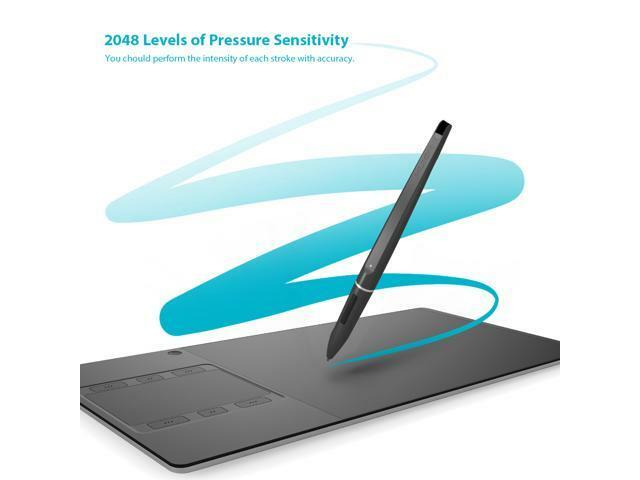 INSPIROY G10T has 2048 levels of pressure sensitivity, a report rate of 233PPS, and 5080 LPI resolution. You can execute each stroke accurately while preserving it's intensity and clarity. The new MIA1 pen creates a reality that you can feel, just as if you were drawing on paper. 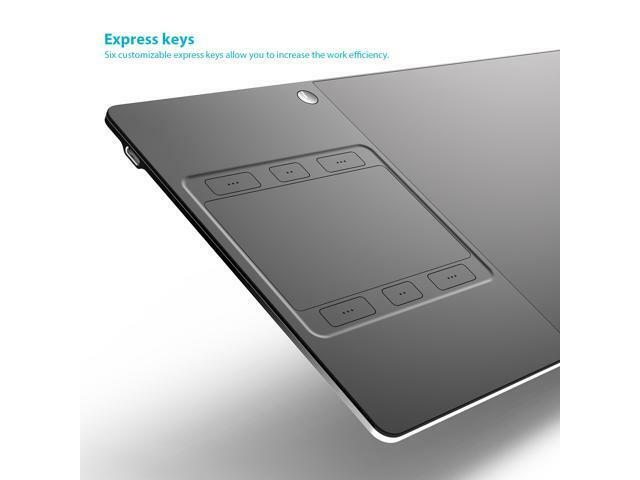 You'll experience power and efficiency with 6 customizable express keys. Save time concentrating on your artwork while allowing ideas to flourish and mature.